When visiting New York, Manhattan is often the star of the show. But travel blogger Suzanne Bearne says that Brooklyn makes the perfect leading lady. When you think of New York, the attractions of Manhattan probably spring to mind. But east of Manhattan is where the spotlight is firmly shining. For those in the know, Brooklyn has been emerging as an artsy and hip suburb in its own right for the past few years, but with the recent opening of the Barclays Center, home of the Brooklyn Nets, this ’hood is rising from the shadows of its more famous sister. First off, stay in Brooklyn. For those who have ticked off the major tourist attractions in Manhattan, and even for those like myself who haven’t, it’s worth spending a chunk, if not all of your time here. 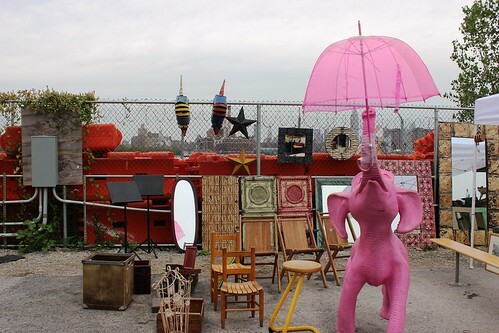 If you’re one for rummaging through markets, do like New Yorkers do and head to Brooklyn Flea on a weekend to find vintage clothes, antiques and handmade crafts. 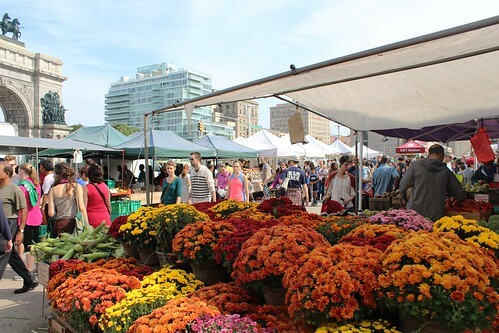 For those who prefer sampling street food, flock to the foodie market Smorgasburg to try anything from tacos, doughnuts (a firm favourite of many a local) or pizza. Walk across Brooklyn Bridge just before dusk to see the Manhattan skyline in all its glory. Make sure your memory card has enough space to capture all the changes in colour. If you’re near the area, Williamsburg Bridge is also a good option as it attracts fewer tourists, although if I’m honest, it ain’t as pretty. 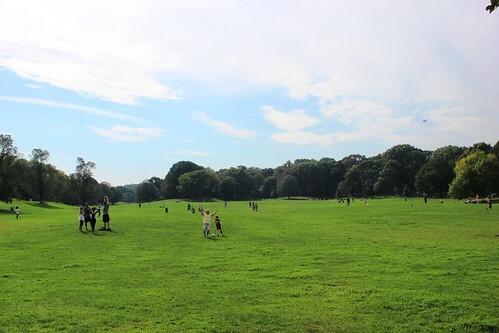 Just as Central Park is beloved by Manhattanites, Brooklynites adore their very own pocket of greenery - Prospect Park. Located in south Brooklyn, not only is Prospect Park a perfect spot to lie around and sunbathe (on a Saturday, grab some bread and cheese from the farmers’ market at the main park entrance), but there are activities like horse-riding and electric boats for those who wish to do more than stroll around). And for a slice of culture, the Brooklyn Museum has expansive collections of Egyptian and African art as well as ever-changing exhibitions of modern art. For bars and restaurants head to Williamsburg’s Bedford Avenue, where there’s an abundance of places to cater for all your gastronomic requirements. For gastropub-style food check out Allswell, for a taste of something French try bistro/cafe Morgane and for a 1920s cocktail den Maison Premiere should fit the bill. If you’re seeking some entertainment other than nightlife, don’t forget to book ahead for a game to watch the Brooklyn Nets play at the newly-opened Barclays Center or find out if there are any gigs on (Jay-Z and Barbara Streisand have both played recently). For smaller venues, the Music Hall of Williamsburg Hall, The Bell House and Union Hall are popular with locals. Suzanne Bearne is a freelance journalist specialising in retail, digital and travel. She’s also a travel blogger and can be found blogging at www.devotedtotravel.wordpress.com and tweeting at sbearne.